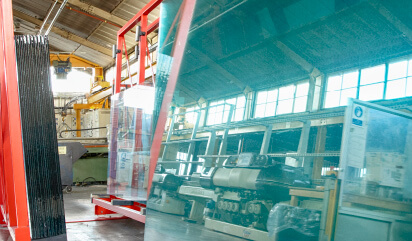 We stock and process all our glass in house which allows us to deliver you a quality assured product tailored to your specification. If you are already a manufacturer but require additional processes, we can work with you to achieve high end product that is manufactured to BSEN 12150, suitable for commercial and domestic applications. 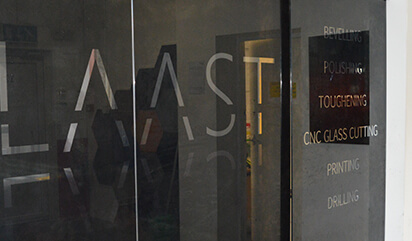 Here at GLAAST we have the ability to cut, polish, bevel, CNC shape, drill, and toughen flat glass for thicknesses 4-19mm. We are constantly increasing our range of glass so feel free to email sales@glaast.couk to acquire an updated stocklist. We aim to quote your requirements within a 24 hour period and once confirmed, process within 5 working days, enabling our customers to rely on us when trying to adhere to difficult deadlines. Whether it’s a vital component or additional product, we can provide parts for manufacturers such as balustrading, shelving, splashbacks, doors and shower screens. 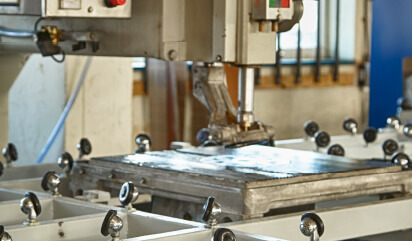 We have the ability to cut and polish to your measurements within a tolerance of +/- 1mm, giving you confidence when sizing up your components for a part or project. Local trade is always welcome to come and visit our trade counter where our experienced staff are always at hand to offer advice on the products available and work with you to get the exact finish you require.